Small - $34.99 Only 1 left! Medium - $34.99 Only 7 left! Large - $24.99 X-Large - $34.99 Only 4 left! You're unpacking groceries and when you turn around, that brand new package of cookies you unpacked is suddenly gone. You've sent a little trouble maker to her room but a couple minutes later you could swear you hear her playing in the back yard. It's not that she's naughty per se, it's just that your little girl has a knack for mischief. If your little one went back in time she might have made a good living as a jester. She always seems to be able to make you laugh, even while she seems to ignore the rules. She just seems to have a certain charm that happens to translate quite easily into trouble making. This Halloween, give her a nudge toward her future harlequin career. 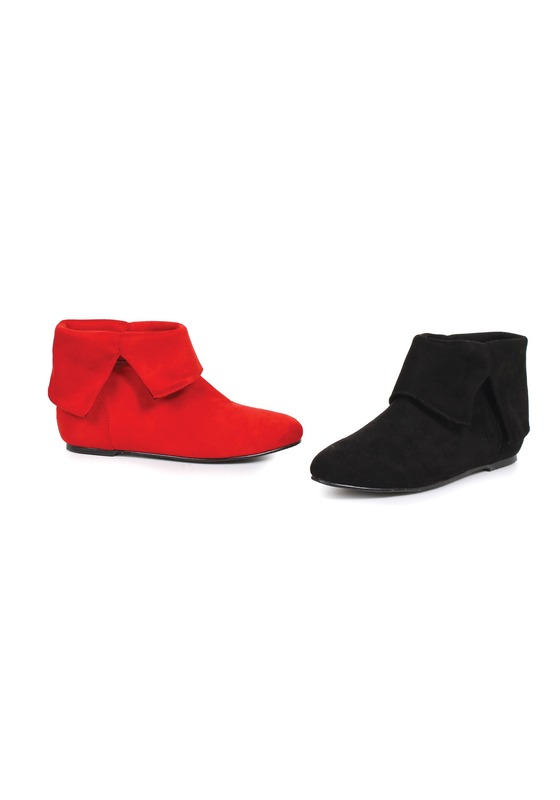 When you're picking out her Harlequin costume don't forget the shoes to match the ensemble, one red and one black. After all, they say you can tell a lot about a clown by her shoes!